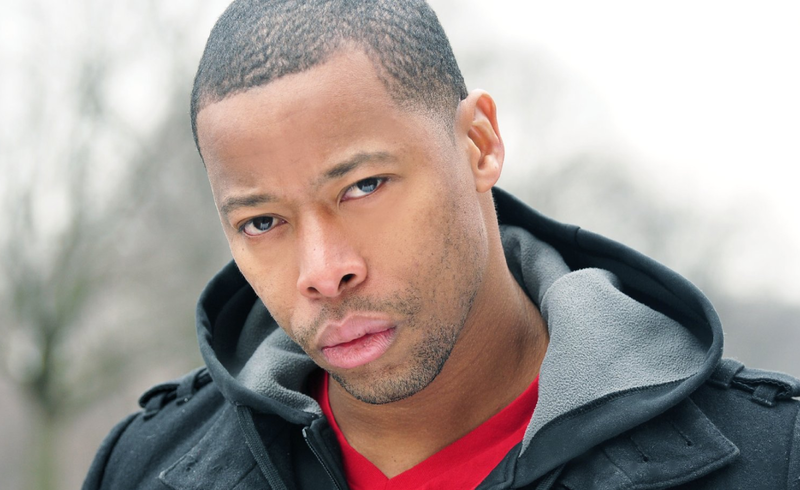 Samuel is a New York based actor and graduate of Alabama State University with a B.A. in Theatre Arts. Sam furthered his education at Brandeis University where he earned his M.F.A in Theatre Arts. Shortly after graduating he moved to New York City and started teaching Theatre Arts to school children with an underlying thought of helping to build their confidence and communications. As an actor Samuel can be seen as a recurring guest star in Shades of Blue on NBC with additional credits on House of Cards, Daredevil, The Inspectors, The Blacklist, The Good Wife, Leftovers, Elementary and Person of Interest. What are your hobbies, favorite places to visit, pet peeves? “Let’s start with my Hobbies. I love to push the limits of who I am and what I can do through meditation, playing ball and creating with my hands. I was introduced to the idea of quieting the mind in grad school. The practice helped to calm me in class and it was cool, but I didn’t realize what I was being introduced to at the time. “It wasn’t until I graduated and was living in Brooklyn that I started to research what was possible with the mind. Learning new skills, learning faster, breaking old habits, gaining new ones, healing the body; I mean the list is endless but the gateway to it all was meditation. Now I’ve made it a daily practice and I continue to see great results. Leading the list of benefits has to be living stress free, so it is definitely a go-to hobby, if you can call it that. “Playing football and basketball has always been a passion of mine, so much so that I wanted to go pro for years but when I got to college my focus shifted and acting won my heart; which means it also got my heart. As a young man growing up in Miami with great weather year round you could always find me with a ball in my hands. So now I play football and basketball whenever I can find a game. “I also like creating things. I’m fascinated with how a person can take simple objects or things and with enough time, imagination and attention make a totally new thing out of them. It can be anything and I’m always willing to learn. Tell us about you when you’re not acting. “When I’m not acting I’m teaching theatre and empowerment to students in East New York, Brooklyn. “I’m also one of the leaders of MBK, (My Brother’s Keeper) in District 19, along side Dr. Thomas McBryde and Curtis Smith (they call us Smith and Smith). Empowering the youth is deep in my heart and I feel it is needed no matter your walk of life. Can you tell us something about you few people know? “Not many people know that I was a trained dancer. “As a kid I performed in musical theater and I also did a few musicals in undergrad. When I first moved to the city I danced with Creative Outlet of the Brooklyn Dance Company. “Yes, I do. I was recently booked in an independent project See You Yesterday. It was written and directed by Stefon Bristol and is Presented by Spike Lee: Two Brooklyn teenage prodigies determined to outwit fate and role-play as God build makeshift time machines to save one of their brothers from being wrongfully killed by a police officer. “Two people that most impacted my success would have to be Dr. Tonea Stewart and my mom. “My mom has impacted my success greatly because of the values she instilled in my sister and I early on. I mean as a kid learning how to give and receive respect was big, not only to adults, but to my peers as well. She taught us how to speak to adults and how to respect authority. “My mom recognized some of her shortcomings and vowed not to allow my sister and I to have them. Like shyness for instance. My mom was afraid of public speaking, so she put my sister and I out front early, so we wouldn’t have a problem speaking when the time or opportunity came about. She also involved us in everything she could, so we wouldn’t have time to be in the streets and wouldn’t be afraid to try new things. We were the only kids on the block doing modeling, judo, choir, me football and basketball; my sister cheerleading and track. She did leave time for us to have ideal minds. “The second person was Dr. Stewart. When I got to Alabama State University I promise you that Doc stood 10 feet tall and could do anything and often was expected to. She could direct a show, teach classes, have speaking engagements, be a professional actress, a full-time wife and mom and still help build a set, if needed. “I remember getting an audition for the movie Cadillac Records. I was in Miami so I couldn’t actually make it to the audition, so I asked if could do it when I got back. The lady told me no it had to be in by that day. She said email it to me and hung up. “This question reminds me of a commercial I used to see when I was younger. The commercial stated you’d be surprised what you can do when you need it to get done. You have to put it in your mind that you can and will do it. “The mind is an amazing thing. I remember booking the television show Shades of Blue and also booking the Sleepy Hollow. I had to shoot them both in the same week in two different cities (and states) but they were days apart so there should not have been any conflicts. But alas there were. “When I finished shooting Sleepy Hollow on Tuesday in Atlanta the director said Sam it’s a wrap. See you on Thursday. I thought to myself no you won’t. I’m done. So, when I left the set that day I called my manager and asked why the director said that. She said she would call casting and look into it. Turns out this one-day shoot was actually a two-day shoot and they indeed needed me back on Thursday of that week. What are “3 lessons I learned from my most memorable failure? What unfiltered advice can you give aspiring actors regarding how to avoid common mis-fires in starting their career? “Don’t wait or depend on others for your success. Build a great team. If find an agent or manager you want to work with pursue them. If you aren’t booking the roles you know you can handle start writing and shooting those characters yourself. Show the world you can do it! What is the best lesson you’ve learned from your worst boss? All actors, musicians or athletes have sleepless nights. We have a term we use with our clients called the “2 a.m. moment.” It’s when you’re wide awake and thinking not-so-positive thoughts about your business choices and future. Can you describe a 2 a.m. moment (or moments) you’ve had and how you overcame the challenges? “I remember almost being put out of my Brooklyn apartment and the stress had been weighing on me. I was so close to be being put out that I received a call saying that the Marshal was coming to lock me out, and the Marshal did, in fact, come. I spoke to him and he granted me and extension. Thanks so much for joining us Sam, this was great!